The Conners are back, and they look like they haven’t missed a step. 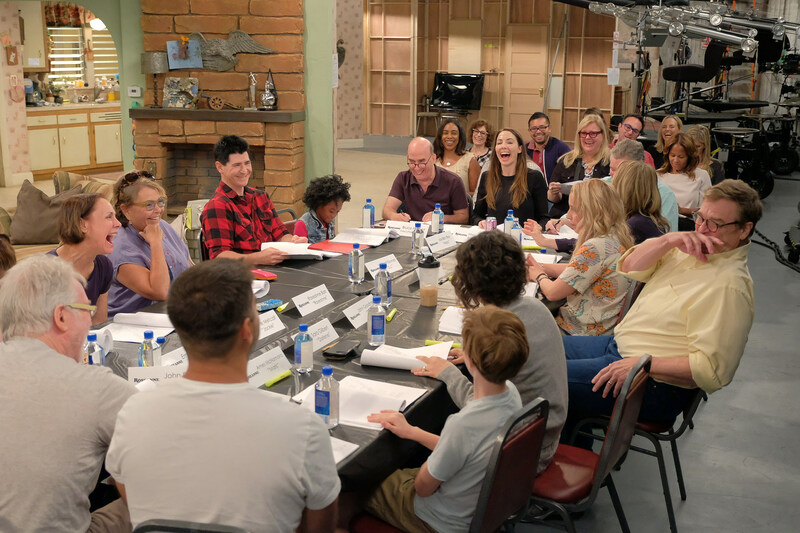 Catch a first look at ABC’s upcoming Roseanne revival, as a new table read photo reveals both the updated Conner household, and familiar faces like John Goodman and Sarah Chalke. Details on the revival itself are somewhat scarce, though we do know Roseanne is expected to premiere at midseason with new episode “Twenty Years to Life.” Shameless star Emma Kenney will join the cast as Darlene and David’s daughter Harris, while the new season will ignore the bizarre finale that both re-contextualized the series as the “real” Roseanne’s writing, and confirmed Dan (Goodman)’s death. We’ll likely see more of ABC’s Roseanne revival before the year is out, so check out the teaser below, and stay tuned for details on the 2018 premiere.